Hello everyone! We are halfway through and this second portion is all the colorful trios from this line which is really exciting. Let’s get on with the review. Description: A fun green themed palette with the Browbone a light shimmering mint green, Crease a shimmering mossy green, and Eyelid a bright glittery lime green. 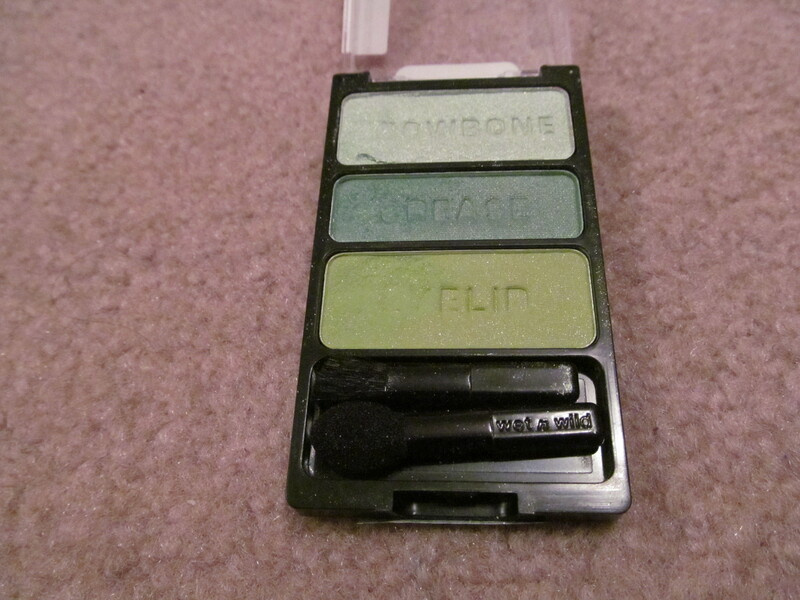 Review: All the eyeshadows were very easy to work with and are extremely pigmented. The problem that I have with this one is that it is a little loose in the pan as shown with the browbone shade. 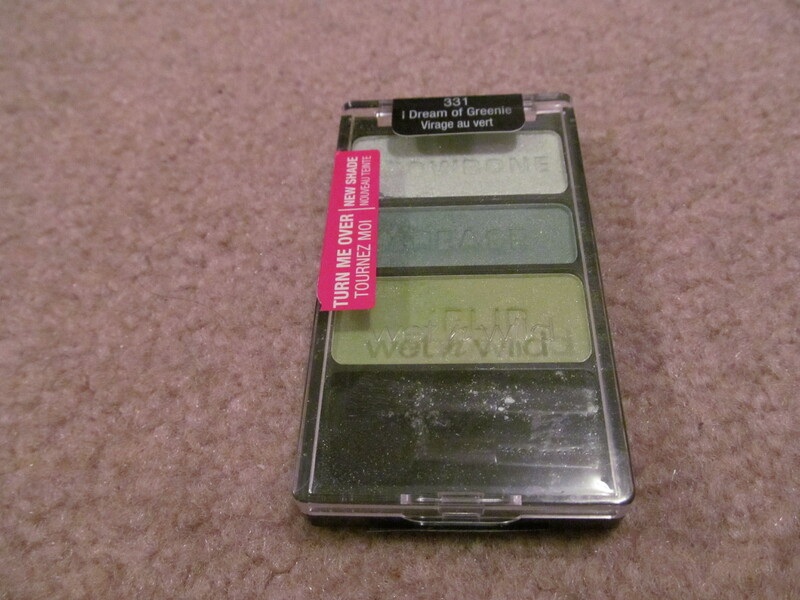 This one had a lot of fallout and there is a high possibility of the eyeshadow breaking in the pan as the eyeshadows are really soft. 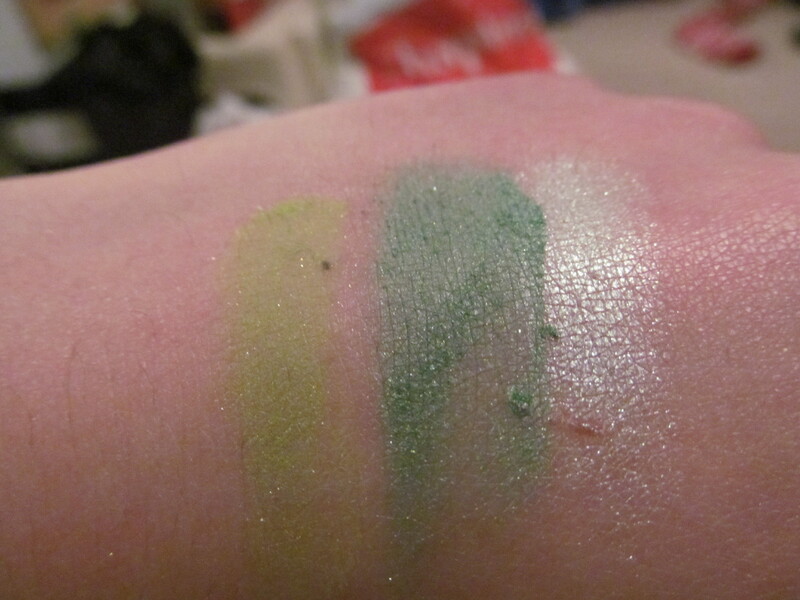 Of course these are pigmented nicely but if blended out too much they will bleed into the other shade or you can blend away the actual shade itself. Overall, a bright fun trio that requires some time to ensure that it looks nice on the eyes. Would I recommend this palette? Yes, it is a stunning selection of greens perfect for any warm weather and especially for St. Patrick’s Day.